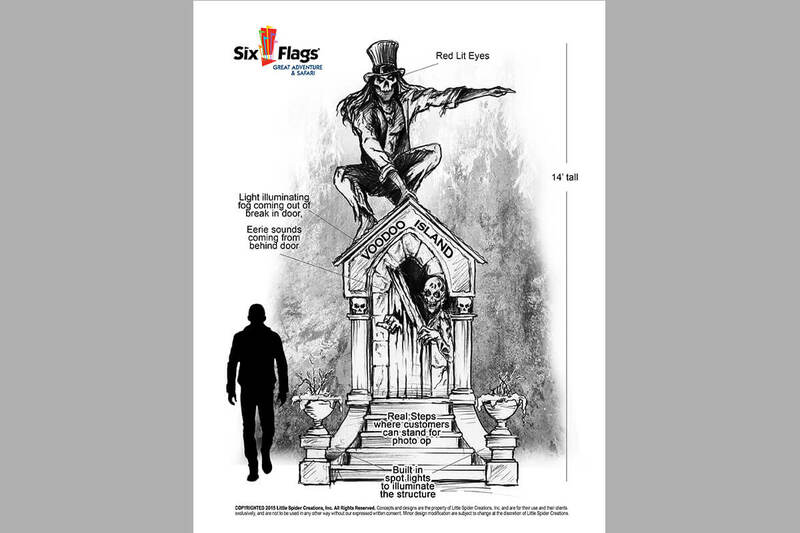 Little Spider Creations sculpted a voodoo king photo op for six flags. 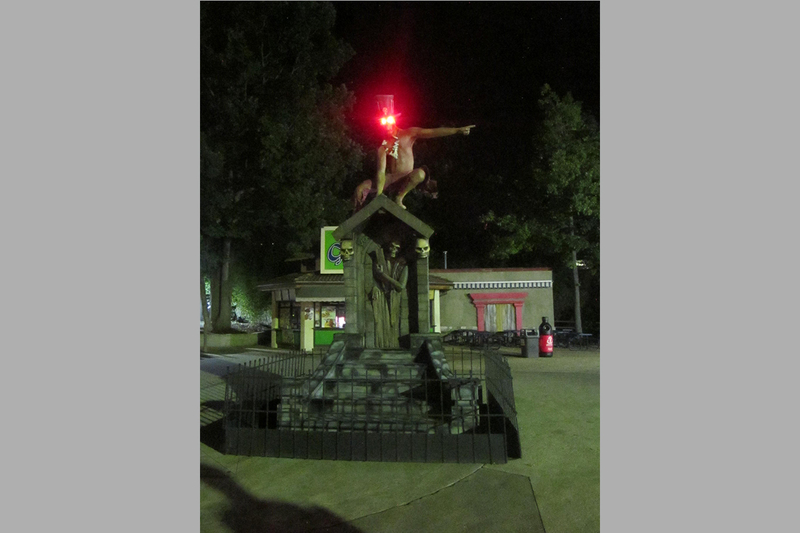 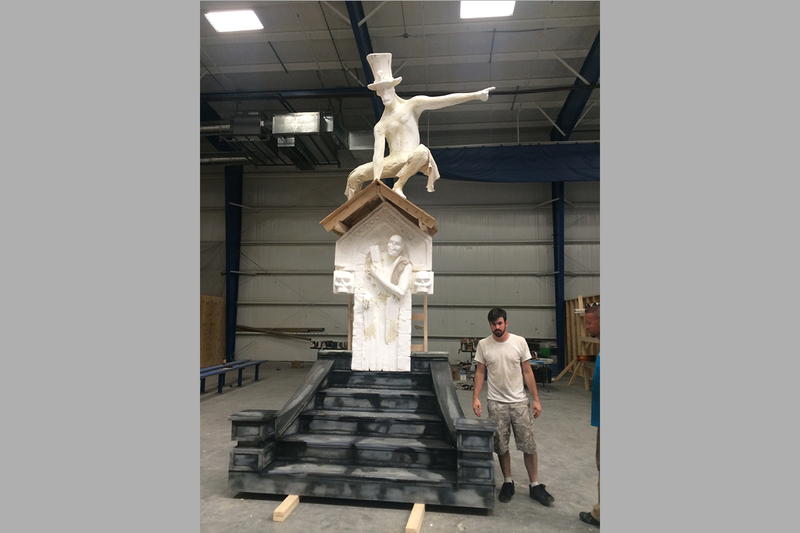 Little Spider Creations hand created a Voodoo King character on top of a crypt for Six Flags in one of their New Orleans themed area. 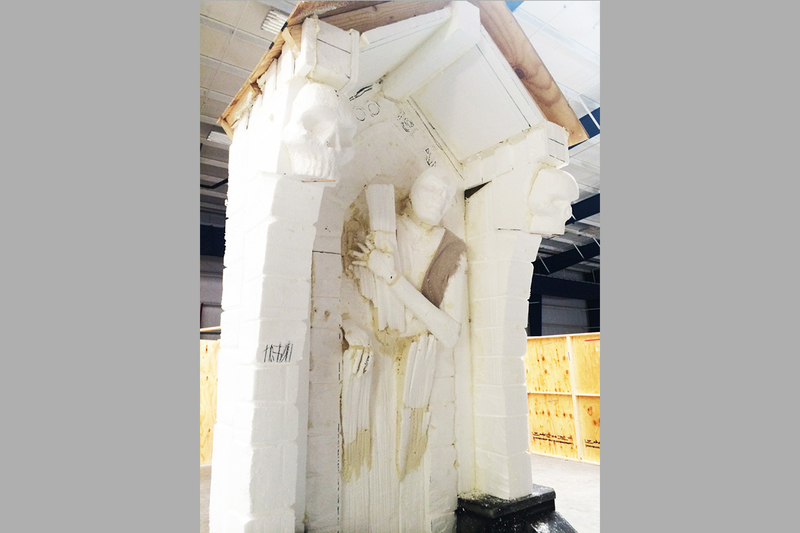 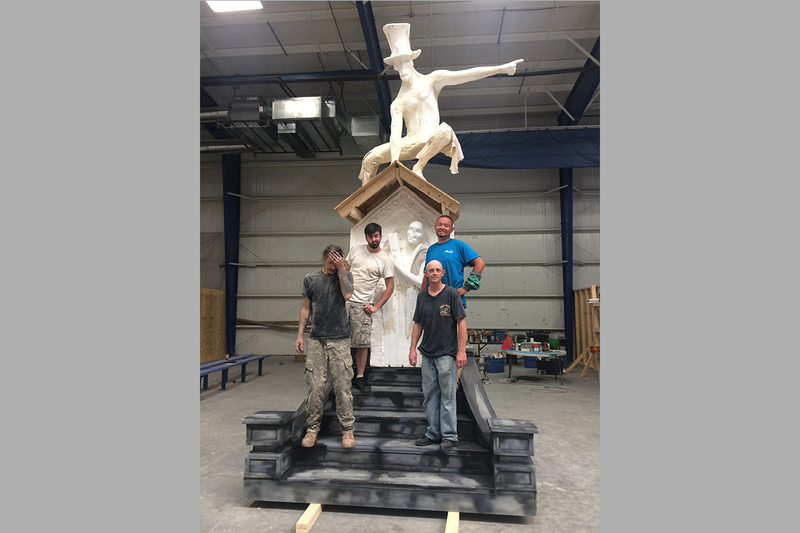 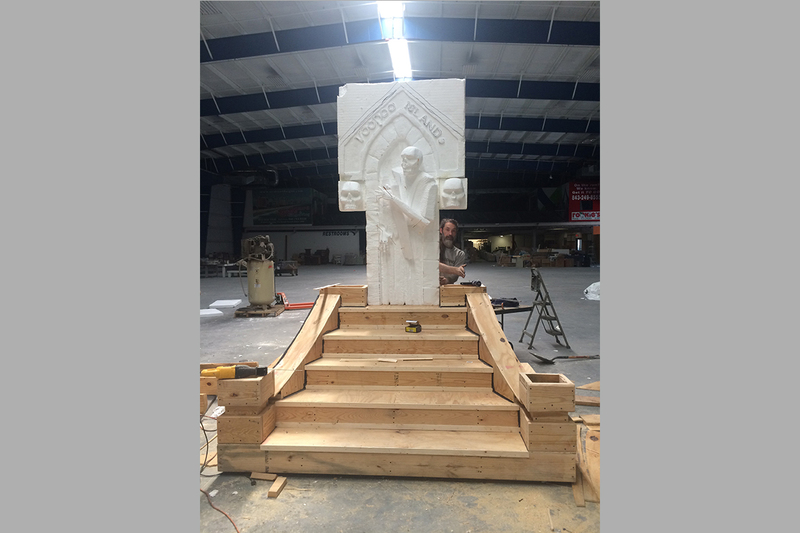 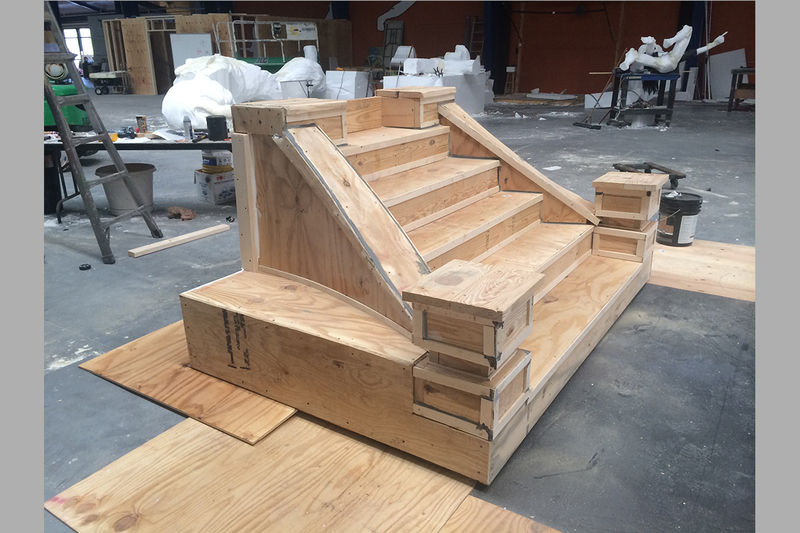 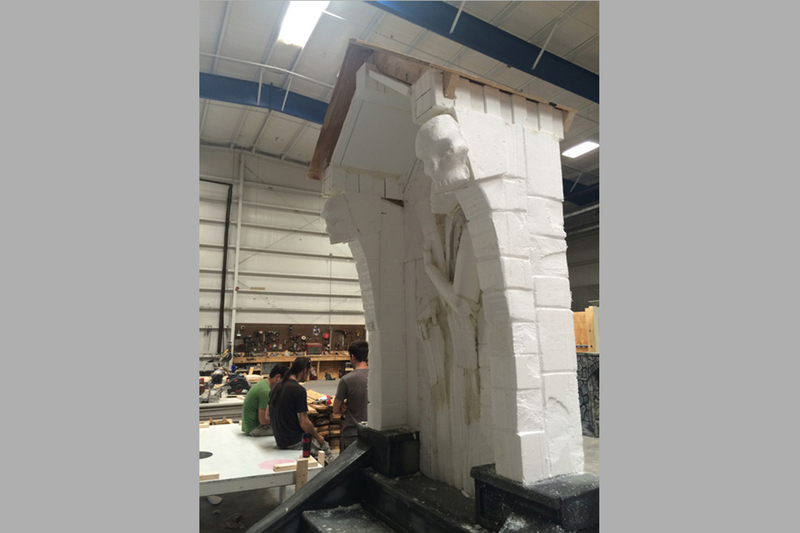 The crypt was constructed out of a wood medium and the topper and king himself were sculpted out of EPS foam and hard coated with our polyurethane material.